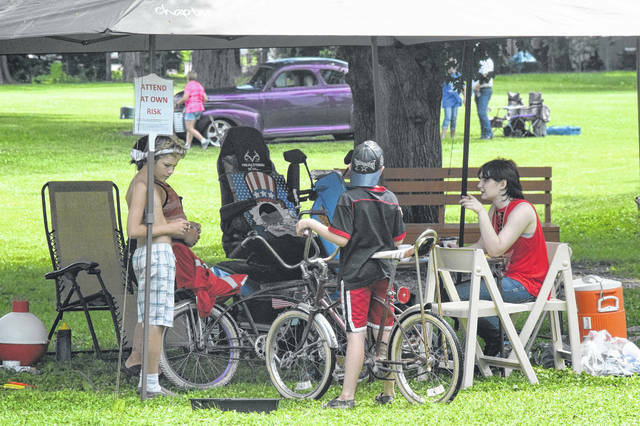 WEST ALEXANDRIA — The Village of West Alexandria held its eighth annual Party in the Park on Wednesday, July 4. 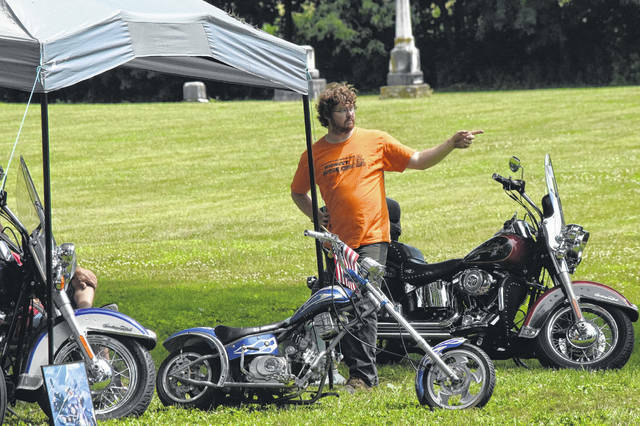 The day featured craft and food vendors, acar, truck, tractor and bike show sponsored by Twin Valley Bank, a lighted parade, and fireworks at Twin Valley Community Local Schools. Money raised from the car show entrance feeds goes toward firework costs and the village’s Santa Villa, which is held on the first and second weekend in December every year. 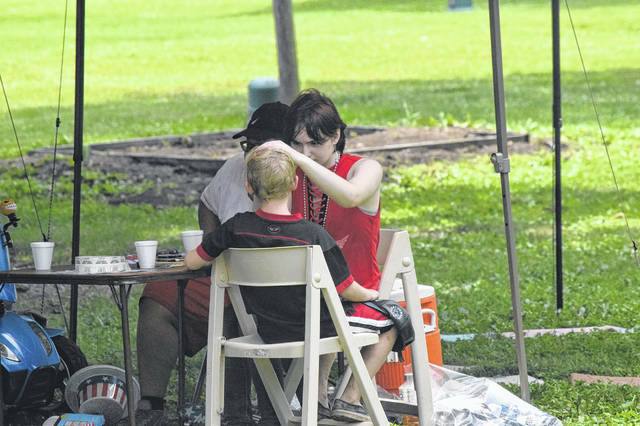 For Mayor Carol Lunsford, Party in the Park is a way to teach the children why the Fourth of July is celebrated. “We wanted to have something for people to do to stay home on the Fourth of July. We decided to include our people who come to our Farmer’s Market, which is why we have our crafters here. We have hometown games for the kids and the car show. We got the idea of having the lighted parade — we call it the Little Disney Parade — and that is in the evening. Any vehicle can be in it, as long as it has lights. We end with our fireworks, so it is a whole day of celebration,” Lunsford said. 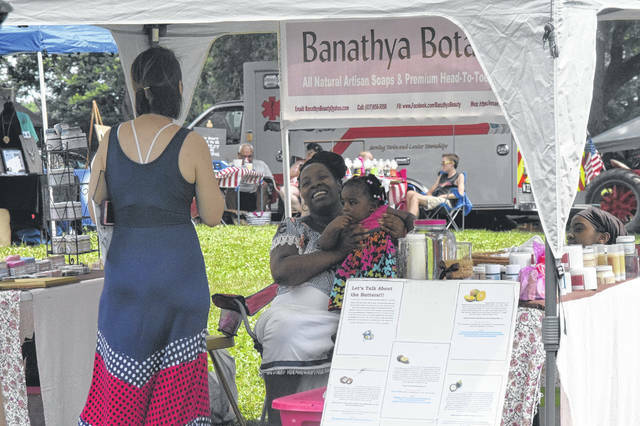 The festival itself has grown in size from last year, which Celebration Committee Secretary and Treasurer Michelle Laughlin credits to outreach to craft pages on Facebook. “Last year we had two food vendors and this year we have five food vendors. 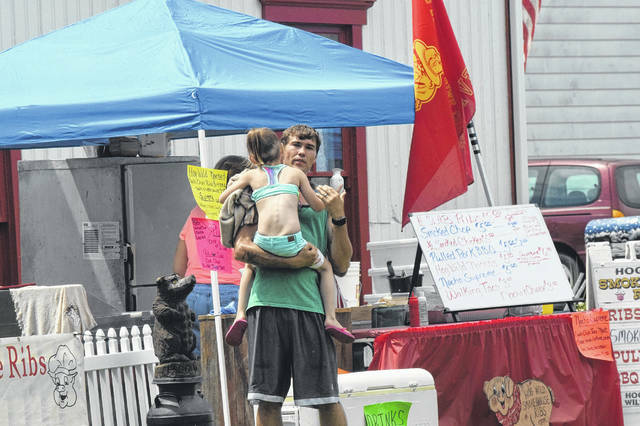 We have about three or four craft vendors, but we’re up to about 20 today,” she said. “I found about 20 different vendor and craft show places on Facebook and I’ve been trying to get them to come out to us. They thanked everyone who helped out for the festival, including: the WA Street Department, Lindloff-Zimmerman Funeral Home, vendors, the Fire and EMS Department, the Police Department, the American Fireworks Company, and the Celebration Committee.